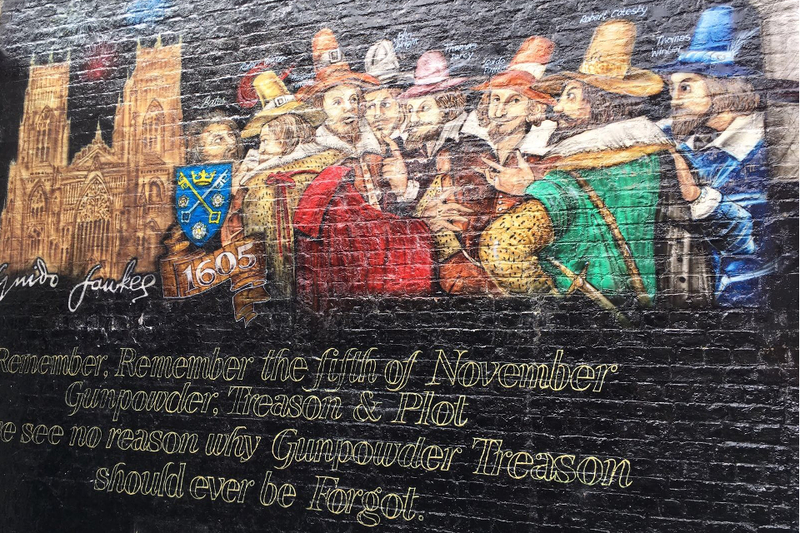 The Guy Fawkes Inn’s small courtyard, in the shadow of the Minster, is a vivid reminder of York’s colourful past, thanks to airbrush artist David Earle’s depiction of the notorious Guido and his fellow conspirators. 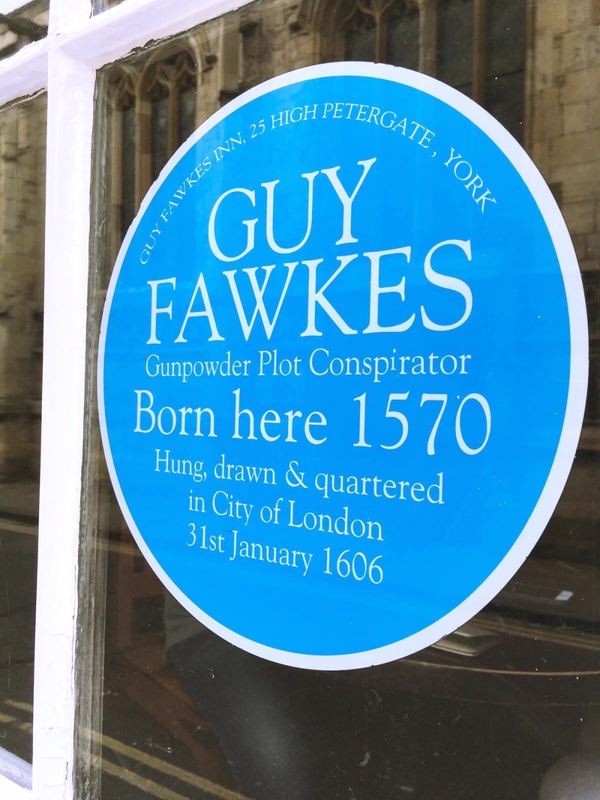 The bar, AA Rosette restaurant and thirteen luxury rooms have been kept true to building’s sixteenth century heritage, with the blue badge claiming Fawkes’ birthplace proudly positioned in the window overlooking High Petergate. 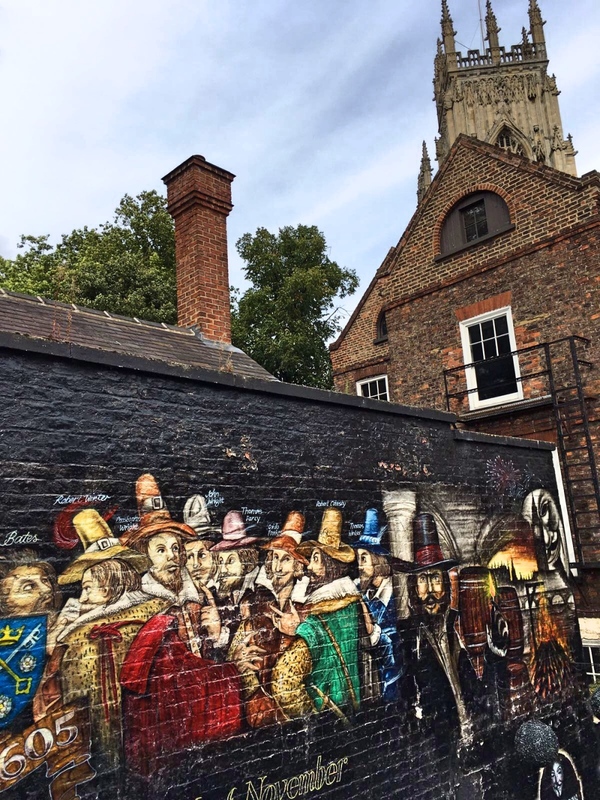 Rebel or not, you can’t help but be immersed in the tales of treason as you step inside the wooden panelled dining room or creep up the slanted staircases. Candlelit tables illuminate a towering suit of armour, congruous barrels and beautifully painted murals. Chalkboards dotted around detail their Live Music Nights and Famous Steak and Ale Pie, which, along with their reputed Sunday Roast, I am most definitely here to try. Despite it’s charm and antiquity, it’s actually pretty hard to find a good roast dinner in York. Judging by the amount of people, we were in the right place. To Douse The Flame there’s a top selection of local ale from Saltaire and York Brewery, Black Sheep and Skipton’s Copper Dragon. However nothing says Sunday dinner to me like a glass or two of red, and on recommendation, we went for their smooth and fruity Malbec which went down all too easily. To Light The Fuse you can have a selection of three antipasti style nibbles for £10 to share, just the job if you’re about to scoff a full Sunday Roast. 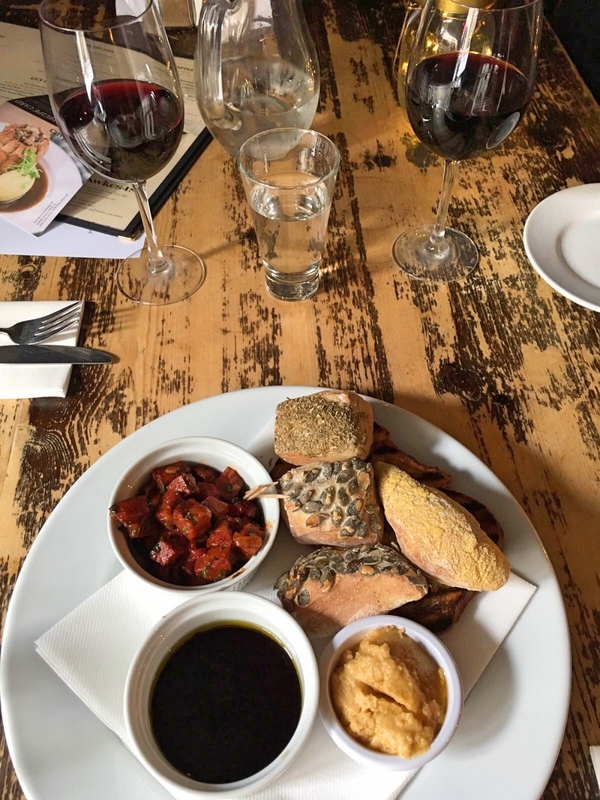 There’s a selection of lovely mini little homemade loaves topped with oats, oregano and pumpkin seeds to mop up a ramekin of olive oil and balsamic, baked chorizo with red wine and peppers, salt cured anchovies and hummus. If you’re keen on a starter though, i.e. those impatient family members who can’t possibly survive until the main course, the Heirloom tomato carpaccio with buffalo mozzarella, or Old English Potted beef sound delicious. Literally On The Fire they’ve got a Peri Peri Chicken breast to rival Nando’s, and a few different cuts of Prime 35 day dry aged steaks. They also don’t do that really annoying thing where they charge extra for sweet potato fries, so, win. I was impressed to see vegan option on the menu, a hearty sounding aubergine and black bean stew with chilli onion bhajis too. So what you’re here for: the roasts. 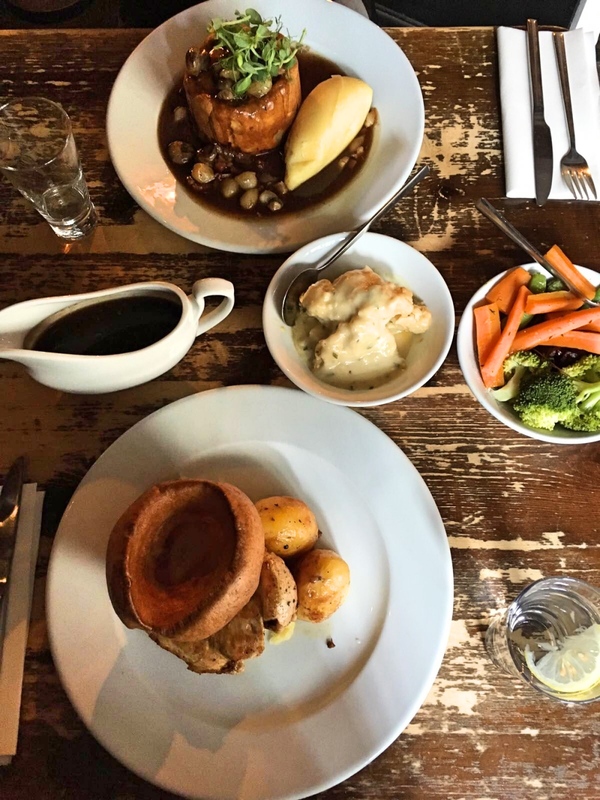 You’ve got a choice of honey baked ham, beef, or chicken breast, all served with a flying whopper of a Yorkshire pudding, seasonal vegetables and a jug of gravy. Decent flavourful gravy, with a nice consistency and no lumps. And it is a jug of gravy. One of the major disappointments of a semi-recent visit to a Michelin starred kitchen, was the lack of self serve gravy. The amount of swimming my roasties want to do is my call. Plus there’s something totally nostalgic about a gravy boat, and a Sunday lunch in general, so that homely touch is always super welcome. Now there’s nothing worse than overcooked veg, perhaps minus gravy gate, but have no fear Guy Fawkes do a great side dish, this time including buttery carrots, purple cabbage, green beans and crunchy mange tout. Oh and a separate cauliflower cheese bowl as well. Plus, how could I forget to mention, there’s roast potatoes AND mash. A nice touch are the recipe cards on the tables for Chef Adie Knowles’ famous pie, which I nicked to try at home. Somehow I can’t imagine my effort coming out anything like Knowles’, an impressive tower of thing, topped with soft button mushrooms and watercress, served with a generous helping of mash and more gravy. 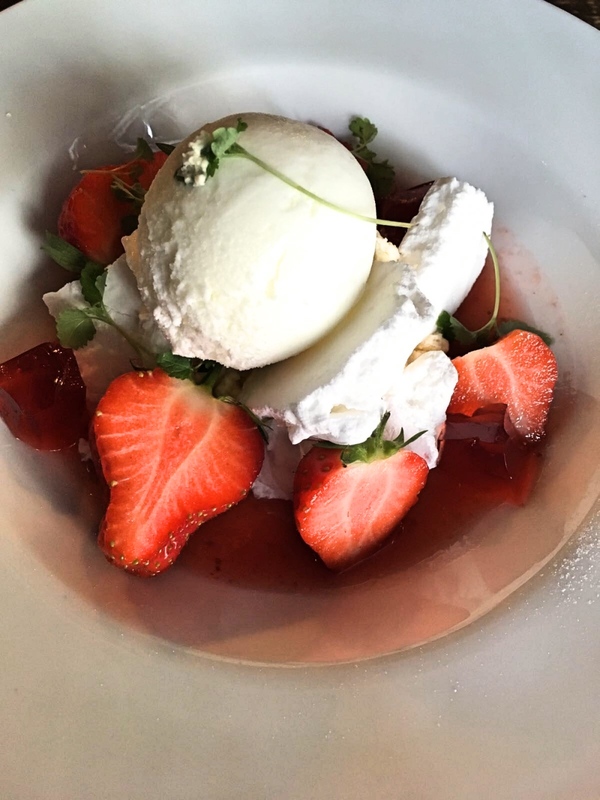 If your fire hasn’t been well and truly vanquished by this point, there’s a classic dessert selection aptly featuring a sticky toffee pudding with Yorkshire clotted cream, a Knickerbocker Glory meets Eton Mess and a sour cherry and sparkling wine jelly. 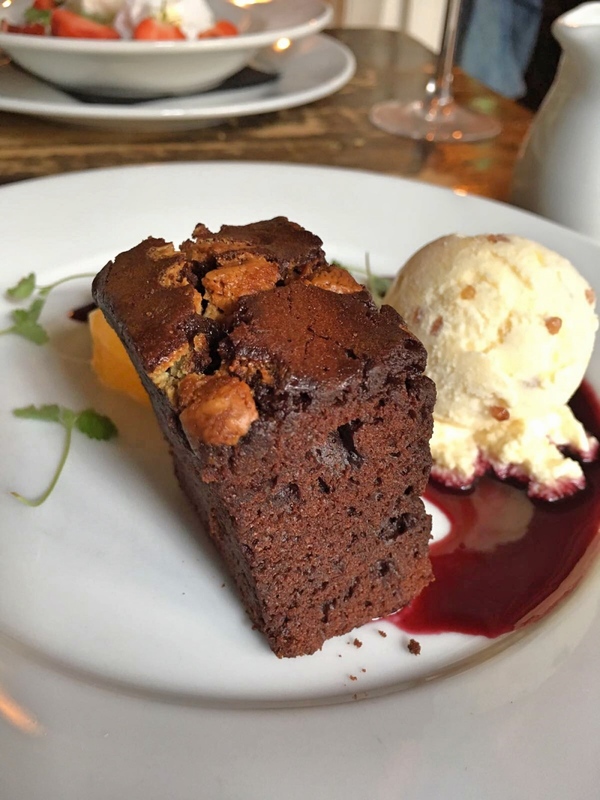 For the savouries amongst you there’s a British cheese board, and for the chocoholics, a White chocolate and salted peanut brownie with a refreshing orange and mint salad and a scoop of amazing marmalade ice cream. However, with so many artisan roasteries now in the region, I do reckon it’s time they switched from their commercial Illy blend and upped their coffee game a bit to top off the meal. 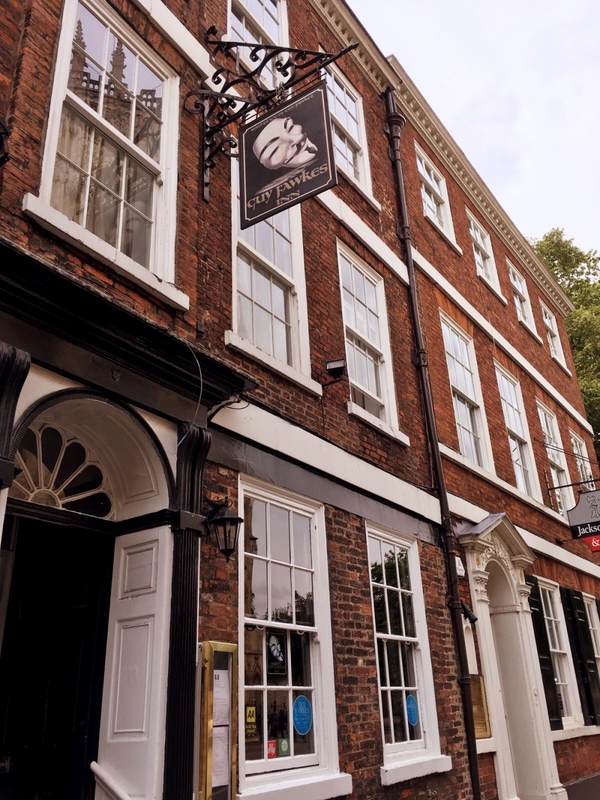 Upstairs The Belfry Suite is just the ticket for a cosy weekend away in the heart of the city. 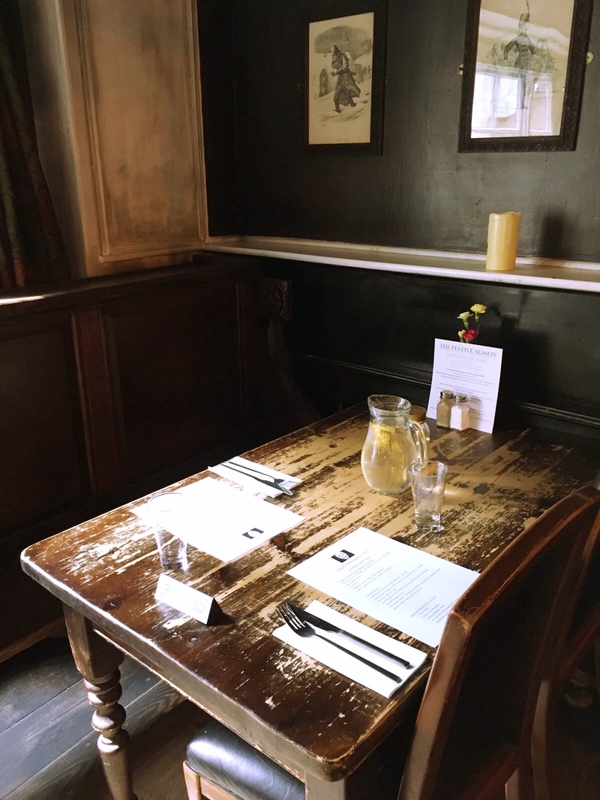 With it’s cast iron four poster bed, medieval beams and velvet chez long, you’ll listen for the peeling bells, counting down until lunch time and that giant Yorkshire pudding.